One of the common problems subfertile couple faced is the issue concerning sperm quality and quantity. In the past, male issue had deemed to be responsible for 15-20% of the reason for subfertility. However, over the last 10 years, this issue had become more prevalent and it is estimated that around 40-50% of couples are suffering from male fertility issues. A recent study in French men between 1989 and 2005 found a significant widespread declines in sperm quality , with average sperm counts falling while percentages of abnormally formed sperm rose. These findings are a “serious public health warning,” the authors wrote. The same findings were observed world wide suggesting a global decline in male fertility. What can possibly be the culprit causing such decline? Could it be the air we breathe? Could it be the water we consume? Could it be the pesticides, fertilizers, genetically modified food and etc? There is no straightforward answer to this. Despite the lack of awareness, male infertility is a common problem, affecting 1 in 20 men. And among married couples struggling with infertility, 40% of the cases may be attributed to the man. Though it has been extensively studied, male infertility remains a complex problem and the underlying causes are usually unknown. However, a study by researchers at the University of Southern California (USC) has suggested that the underlying cause for male infertility is epigenetics – the way that DNA is processed and expressed. Epigenetics are processes that alter gene activity, without changing the DNA sequence. They have a vital role to play in the body’s many processes, including those involved in conception, such as implantation, placentation and fetal growth. When these epigenetic processes are modified, due to genetic and environmental factors, the consequences are usually unfavourable. As the results of this study point to underlying mechanisms that can cause epigenetic changes, the next step is for researchers to identify what causes these changes to sperm DNA. Once they have been identified, we will be one step closer to preventing certain types of male infertility. At present, it is believed that one of the possible causes of epigenetic alterations is chemical exposures. 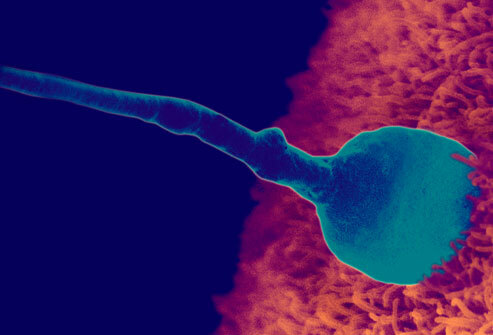 It has even been suggested that exposure to chemicals as a fetus may lead to adult diseases. This entry was posted in Male subfertility, sperms issues, Uncategorized. Bookmark the permalink.